Decorated with The Judgment of Solomon in blue with manganese outlines on a blue-tinged ground. The border with birds and flowers within concentric circles. The reverse with decorative designs in four compartments. Nevers often took its biblical scenes from the engravings of Bernard Salomon for Les Quadrins historiques de la Bible but the elaborate depiction here must be from another source. 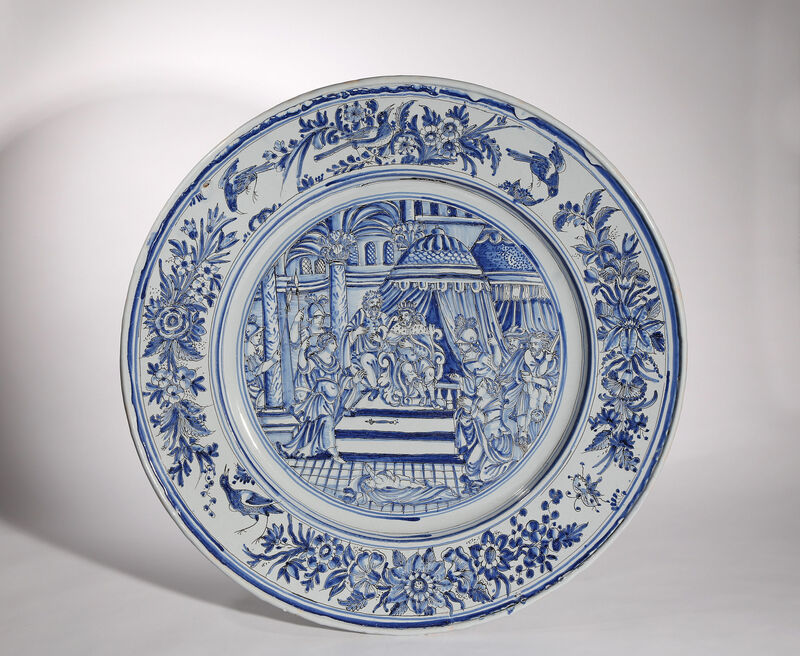 A smaller dish with a simplified version of the same subject is in Saumur, Château-Musée, inv. Lair 361 illustrated in Jean Rosen, Faience de Nevers, 1585-1900, vol. 2 fig. 534, p.313 which is dated to 1660-1665. 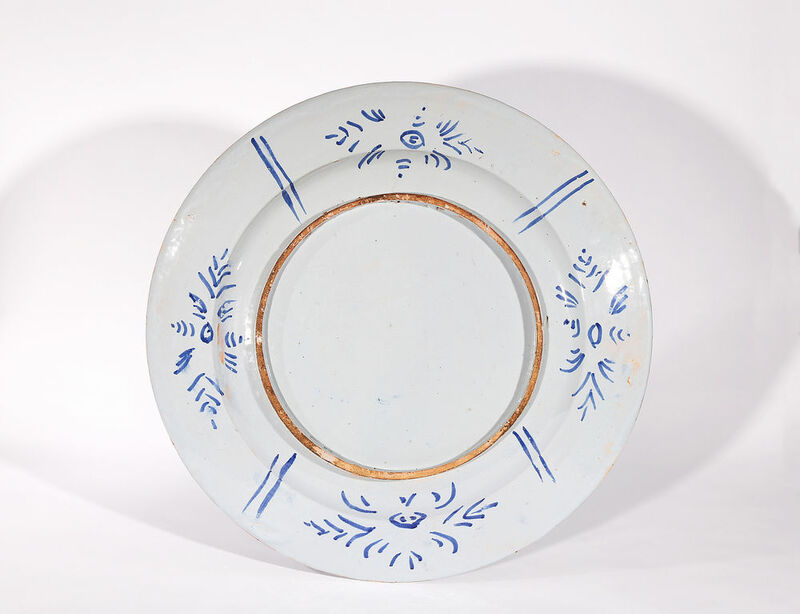 Another dish with a similar border and use on manganese is illustrated f. 544 p. 318 and dated to 1670-1680. The foot pierced (before firing) with two holes for suspension. Condition – Shallow 8 cm. chip on the rim at 4 O’clock, and a small shallow abrasion at 10 o’clock, a shallow glaze crack. Treatment report available.